The Federal Court of Australia has today overturned the preliminary injunction against the Samsung Galaxy Tab 10.1 in Australia, paving the way for the banned tablet to be officially sold Down Under. However, according to ZDNet the case may drag on even further as Apple legal counsel Stephen Burley SC appealed against the overturning of the injunction. Apple intends to apply for leave to appeal before the High Court of Australia and was granted a short stay — this Friday 2 November at 4pm Australian Eastern Daylight Savings Time (AEDST). Apple successfully put a halt to sales of the Galaxy Tab 10.1 in October, claiming Samsung copied its iPad 2 tablet and breached various patents. The temporary injunction ruling meant that Samsung could not sell, advertise, or even take pre-orders until the court case had been resolved. 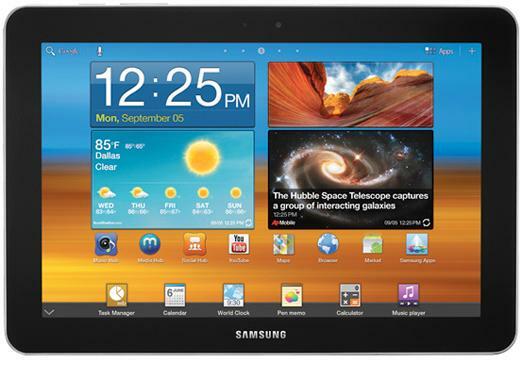 Despite the injunction, many online retailers have sold the Galaxy Tab 10.1 in Australia including MobiCity, Kogan, Millenius, Expansys, Techrific and dMavo. However, dMavo is the only store that currently lists the Galaxy Tab 10.1 for sale at the time of writing. "Samsung Electronics Australia is pleased with today's unanimous decision by the Federal Court to lift the preliminary injunction on sales of the Samsung Galaxy Tab 10.1," the statement read. "We believe the ruling clearly affirms that Apple’s legal claims lack merit." "We will make an announcement regarding the market availability of the Galaxy Tab 10.1 in Australia shortly." Samsung has already launched the Galaxy Tab 10.1 in various other markets as early as August, but the device attracted a lawsuit from Apple in both Australia and Germany.